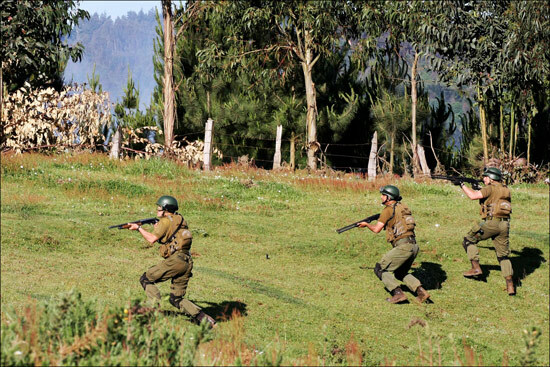 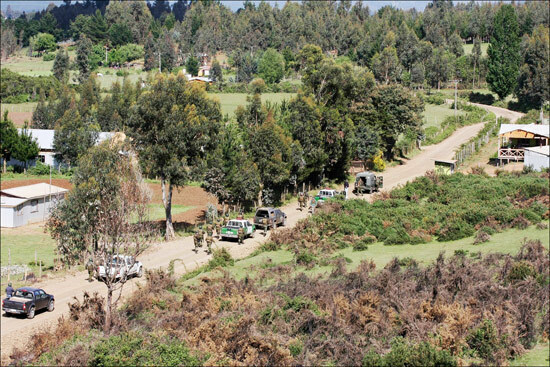 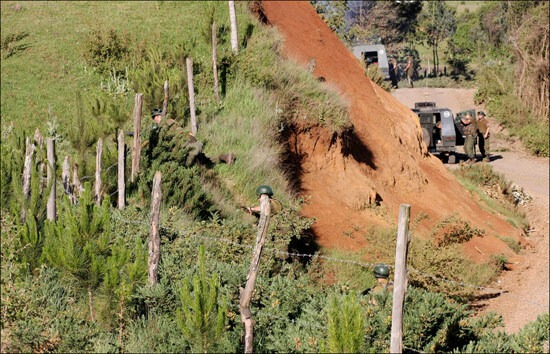 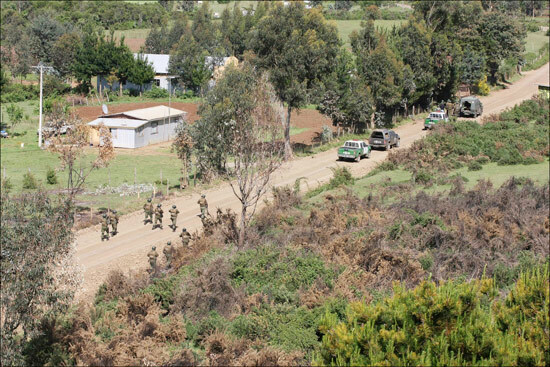 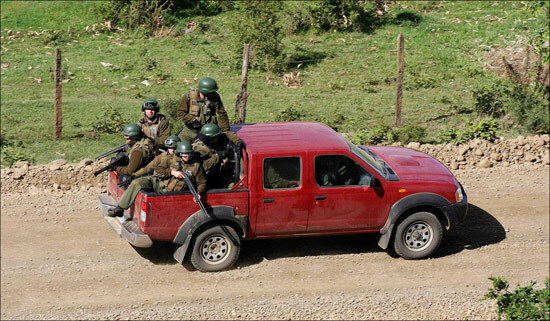 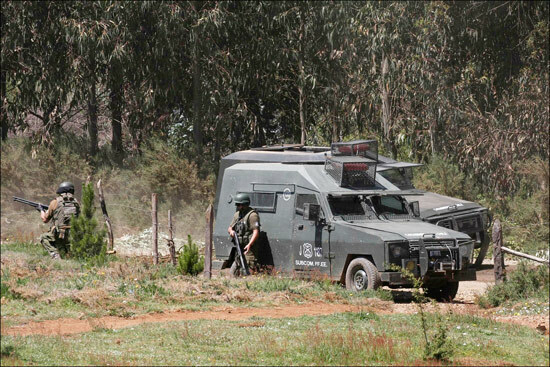 Chile, Police Special Forces intimidating Mapuche Indigenous communities. 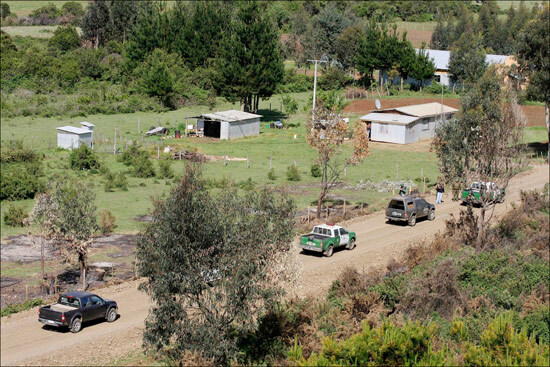 Comunidad Wente WinKul Mapu Lof Chequenco. 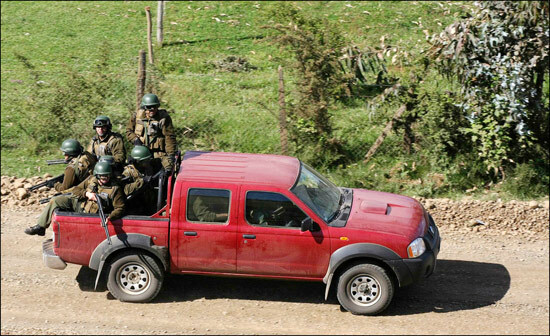 This happens every day…These last 3 days have been the worst…the images are just showing one day in the Community where the police arrived with armored vehicles breaking fences, and anything that got in their way, shooting at homes [with] children and women…without any justification…in an effort to frighten people… In the images you can see how they enter the houses' fields, firing at close range…We ask for help in spreading this information and to be alert for more information that we will keep sharing. 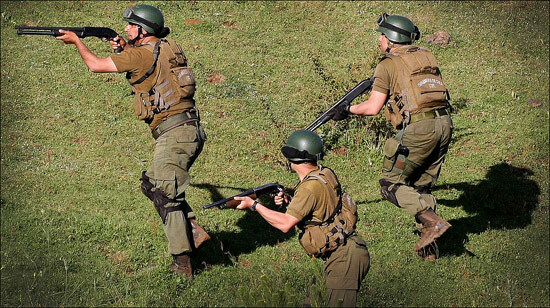 The images are free like us, share them, inform those who are around you, help us by spreading this and by staying informed. 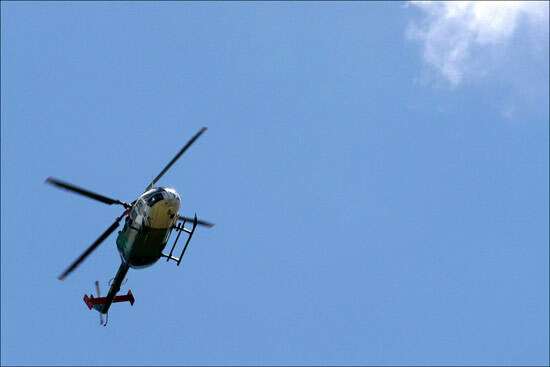 Police helicopters fly day and night over the territories of these communities. 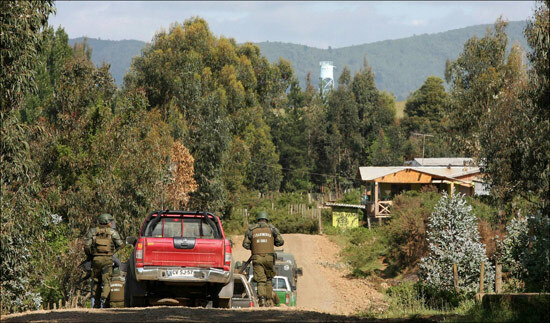 The Mapuche suffer abusive and degrading identity controls. 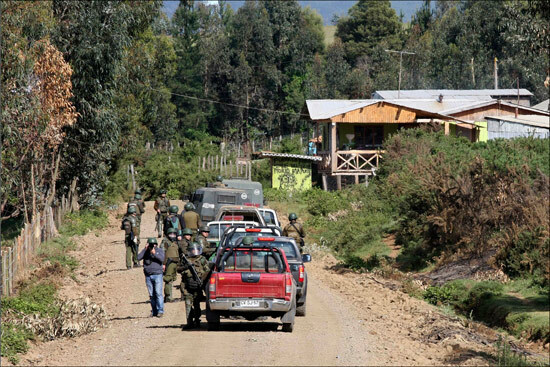 Their struggle is criminalized and judged by the government and the Judicial power, and it is distorted and condemned by the press (except for a few honorable exceptions) and by the political parties with parliamentary representation. 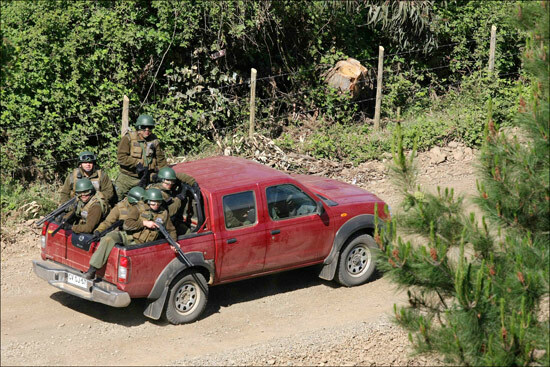 These acts of violence are taking place after the revival of the recovery of ancestral territories of the Wente Winkul Mapu community [es]. 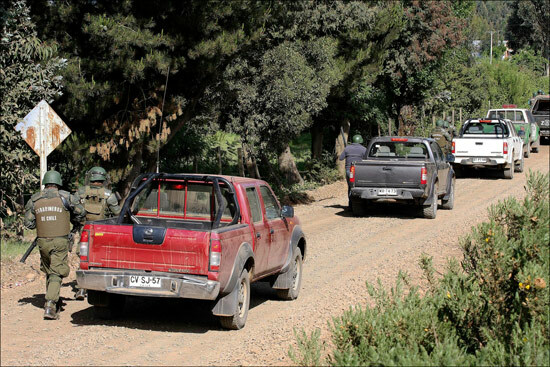 These territories in the Pidima, Ercilla area in the Araucanía region today are called ‘fundo Centenario‘. 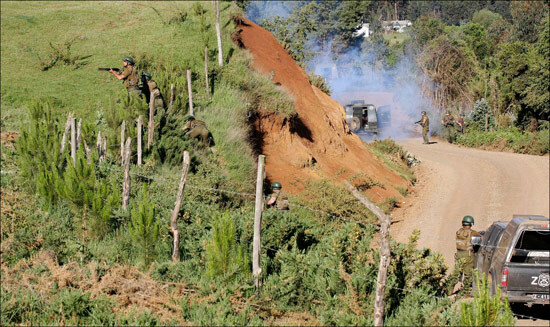 This estate is owned by Juan de Dios Fuentes and forestry companies. 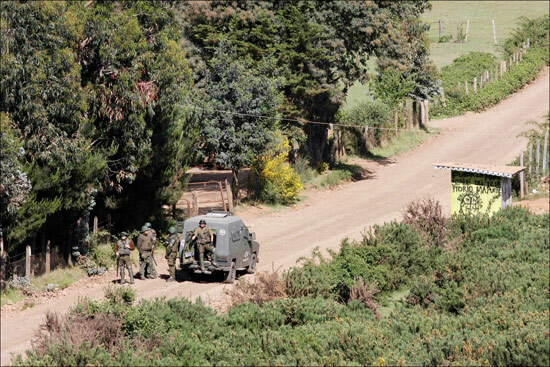 Likewise, in 2010, 5 Mapuche were convicted of non-violent usurpation [es] of the territory. 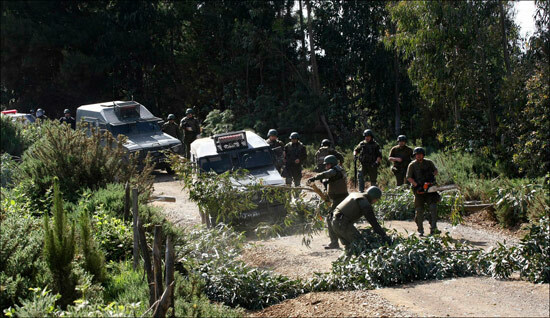 These events are usually framed within the so-called “Mapuche conflict“, a social phenomenon that gained strength in Chile with the return of democracy, and that consists of the recognition of the collective rights of the Mapuche, which includes, among other demands, the recovery of indigenous territories lost since the nineteenth century. 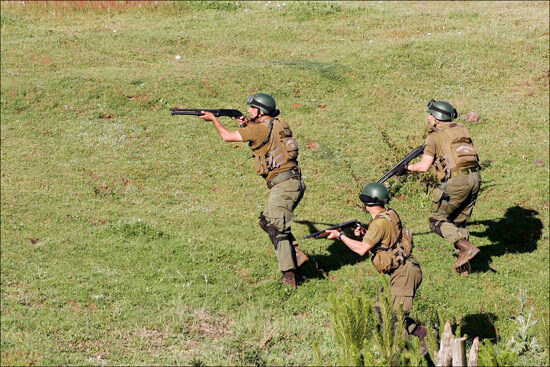 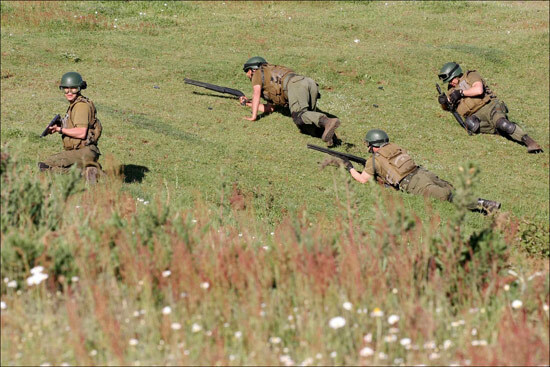 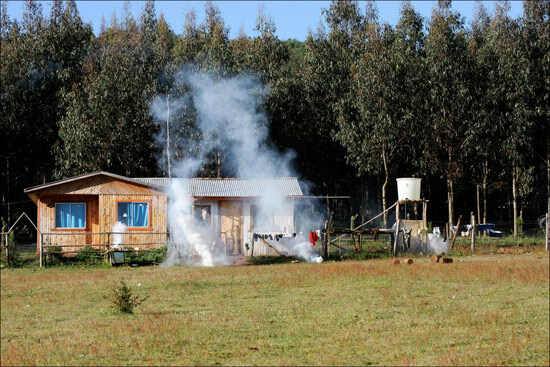 Mapuche media azkintuwe [es] and mapuexpress [es] also shared the photos. 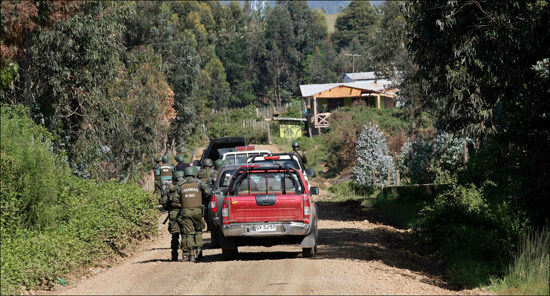 Here are some of the images, posted with Felipe Durán's permission.